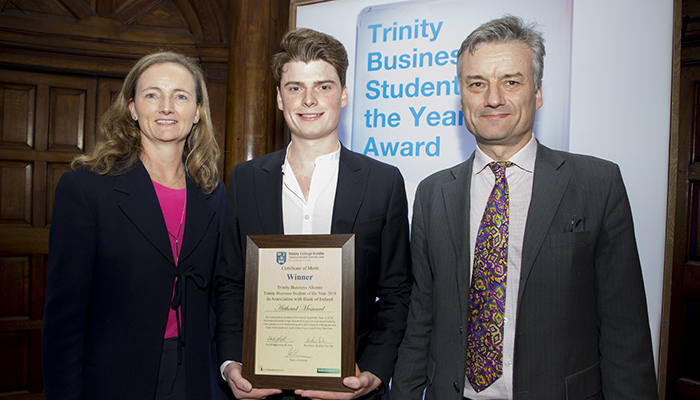 Final year Business Studies and French student, Arthaud Mesnard, is this year’s winner of the Trinity Business Student of the Year Award. 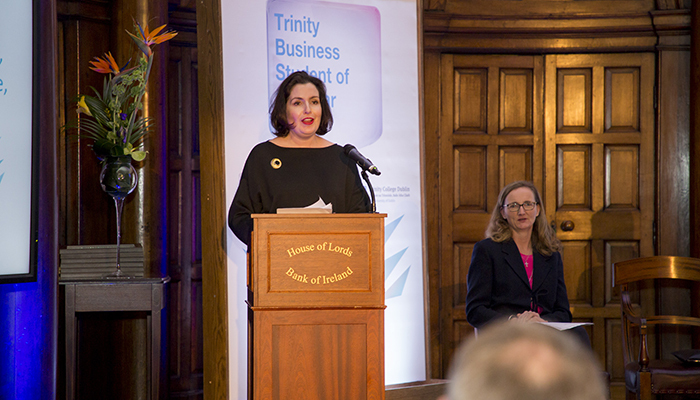 The Award, now in its 24th year, is one of the most sustained and successful of all student awards in Ireland due to the continuing support of the Bank of Ireland and the Trinity Business Alumni. 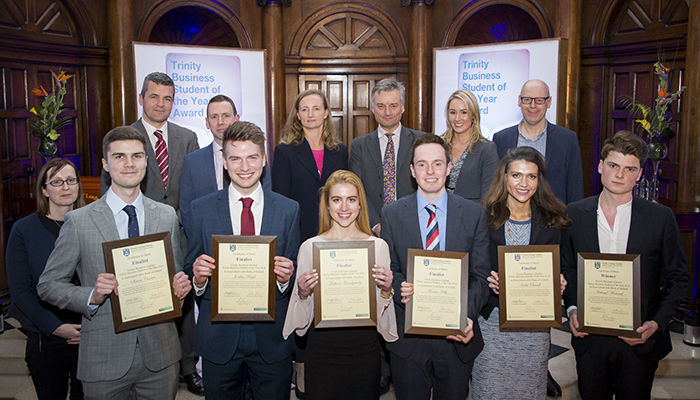 The Award recognises and celebrates students who have achieved excellence on a number of dimensions, including academic, athletic, entrepreneurial, and social engagement. 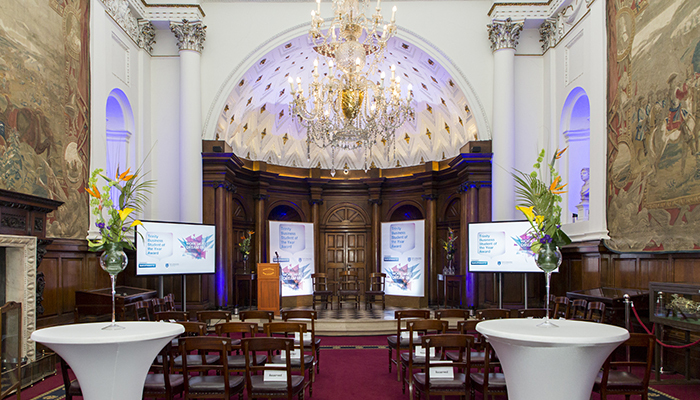 Trinity Business School are particularly proud to be recognising the achievement of its students in two of the core aspects of their programmes: entrepreneurship and social engagement. 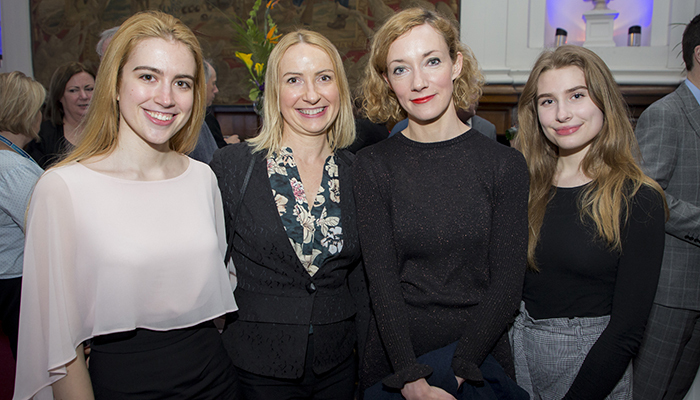 Six exceptional undergraduate finalists were honoured on the evening: Jordan Boyd, Malwina Grondzewska, Arthaud Mesnard, Simon Curran, Isabel Ottewill, and Marcus Kelly. Between them they have engaged in a remarkable range of activities beyond their academics. They have founded start-ups; developed mobile apps; taken part in sports teams; got involved with social entrepreneurship; led student societies; written for student newspapers; contributed research to academic teams; interned with start-ups and with global corporations; and volunteered and fund-raised for NGOs. The winner of the award, Arthaud Mesnard is a Scholar and serial entrepreneur. 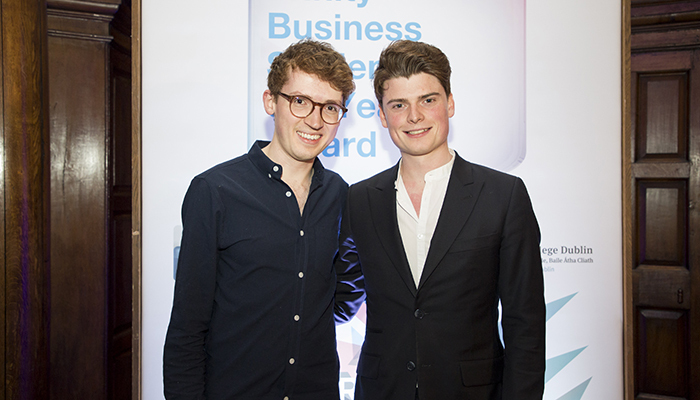 During his time on campus he was involved with three start-ups, and in his final year led the Enactus TCD project KeepAppy, an app that empowers people to improve their mental wellbeing. He is a competitive tennis player and up to the age of fourteen expected to become a professional sportsman. During his Erasmus year in Paris Arthaud led a student consulting project to help professionalise a centre that housed and fed 300 Tibetan refugees. He continues his support for charitable organisations through his involvement with Edco, an NGO that builds schools in India. This summer Arthaud will go to SpaceX Headquarters in California with Éirloop, the first Irish Hyperloop team, to present a design of a high speed train in front of Elon Musk. 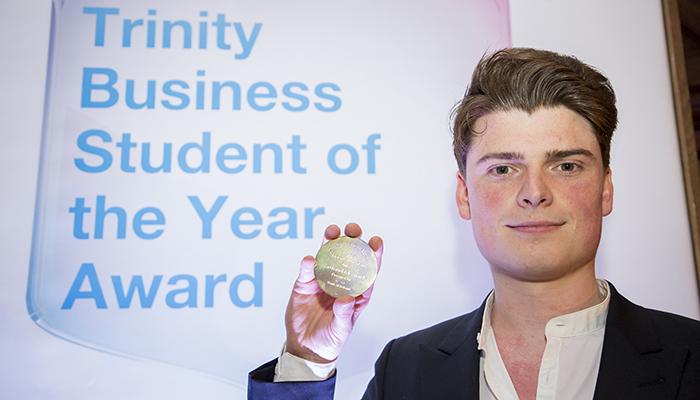 Commenting on his win, Arthaud said "My experience of Trinity has been fantastic: it has enabled me to develop both personally and professionally and has prepared me for the rest of my life! 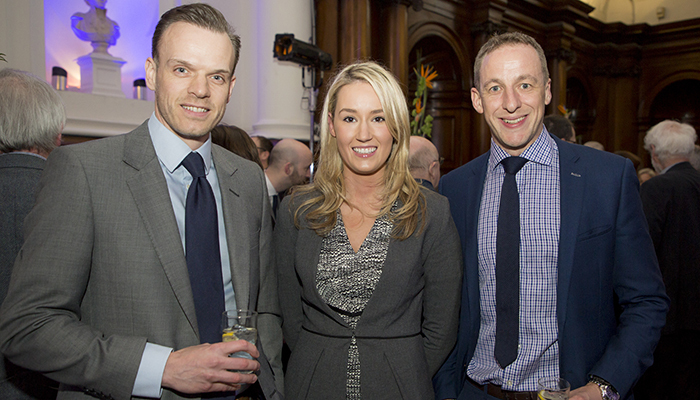 Thank you to TCD, the Business School and my peers for making this experience unique!"